Add Module To Page: When you add module on page and mouse over “Manage” button, you will see following operation buttons. At first, please add categories through clicking “Manage Category” button. Manage Category: After you enter “Manage Category” page, you can fill in category in Title and click “Save” to add. Manage Content: In the next step, please go to “Manage Content” page. You can add Title, Content, Index and category of this content here. “Already Send” shows that this content was sent to users of this website or not. If it was sent to users already, this option would be configured to true automatically. Content Settings: You can debug display mode of frontend by “Layout Type” option and you can also configure sort mode, modify content template, CSS style and so on. Email Settings: You can do configuration work and related settings of Email here. You can configure whether to enable function of sending emails through option "Open Email Notify". Moreover, you can configure sending period and date of last sending. Then you can calculate date of next sending. "Already Send" field in sent content will be configured to be true. You can also configure it to be false manually, then this content will be sent to site users once again in next period. Except that, you can also configure subject and template of email. Unsubscribe Users: It will display some site users who unsubscribed your site on this page. List Layout: Please configure option “Layout Type” to be “list” in the backend, then it will display as this screenshot. Tabs Layout: Please configure option “Layout Type” to be “tabs” in the backend, then it will display as this screenshot. Accordion Layout: Please configure option “Layout Type” to be “accordion” in the backend, then it will display as this screenshot. Added sort feature for categories. You can choose which specified roles to receive emails. Added feature of previewing email content which will be sent during next period. Fixed the bug of not being able to delete content. Added the function of sending record, then sending record of emails can be viewed in backend. Added the function of sending manually. After clicking "Send Email Now", emails will be sent immediately. Achieved ISearchable and IPortable interface. 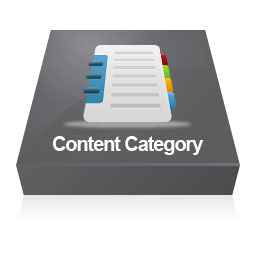 In the backend of this module, you can manage content and category, you can configure multiple categories for one item. It supports display modes such as List, Tabs, Accordion. It can send emails to websites users in bulk and it will only send newly added content. You can configure send period in backend. It allows configuring template of content which will display in the frontend. It allows configuring Subject and Email Template of email. You can configure sort order of frontend through settings in the backend.